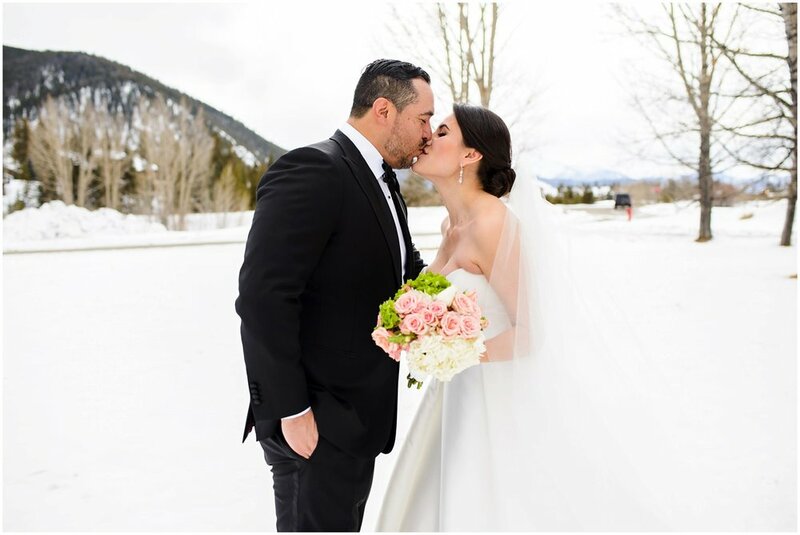 Janet and Carlos came from Texas, to the winter wonderland of Colorado to elope with their closest family members! 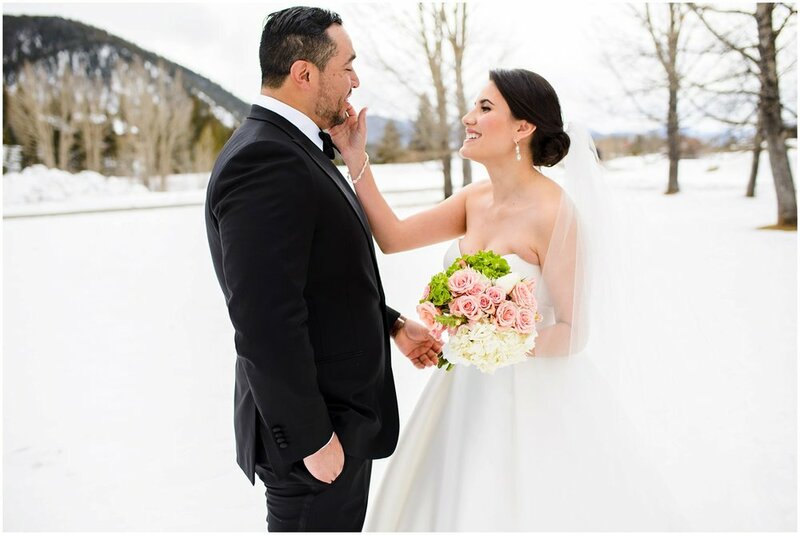 Janet is a photograpehr herself, and reached out to me this past Winter to document her vows here in Colorado! the couple was already technically married....but wanted to do a cermeony here with gorgeous Lake Dillon as their backdrop! I snagged a few last minute shots of them getting ready in Keystone, and then we headed out for a quick First Look! After that, we jumped in our cars and headed towards Lake Dillon! It was cold ya'll!! Mad props to these fine peeps for staying out in the elements with me!! It was a beautiful little ceremony, and then we hung out along the lake for some photo time!! (and a few photos with their Dogs of course!!) the sky lit up with a beautiful hue of the Winter blue (and changed every few minutes per usual crazy Colorado skies/weather.....)...and Janet just looked so regal and stunning! After a bit of sunset color, and when our toes and fingers could no longer function- we called it a day! I love Lake Dillon and Summit County for every season!! It is gorgeous and easy access every time of year! I look forward to all my remaining summer and fall engagements and weddings up around Keystone, Breckenridge, Lake Dillon, and all around! Thank you, Janet and Carlos, for having me a part of your adventure!! I wish you all the very best!! !